The CW family of live-action superhero shows may soon have a new sibling, as Variety reports that Batwoman is in development at the network as a series. The character, as you may recall from our report back in May, was already set to make her live-action debut in December as part of the DC superhero show’s now-traditional annual crossover event. Now, however, the CW is developing a standalone series for the character as well, under the guidance of Smallville and The Vampire Diaries writer/producer Caroline Dries and the Emperor of the Arrow-verse himself, Greg Berlanti. Berlanti already holds the record for the most live-action shows on the air at one time, and Batwoman would only solidify that record. 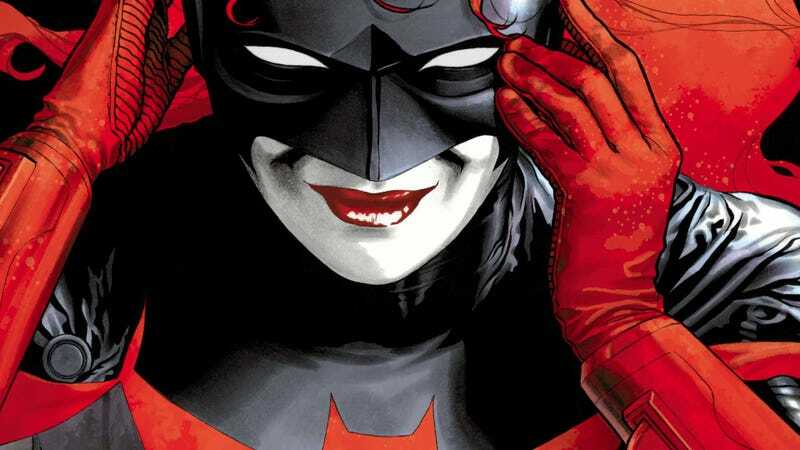 But that’s not the only significant milestone set to be achieved by a Batwoman series: The character’s current incarnation, Kate Kane, was the first openly lesbian superhero in the DC universe upon her introduction in 2006, and if the show goes to series—which it probably will, given the names involved—she’ll be the first LGBTQ superhero of any gender to lead a live-action TV series. The role of Batwoman has yet to be cast for December’s crossover event. But, as Deadline notes, it’s likely that the same actress will be hired both for that and the as-yet-hypothetical series, a lá Tom Holland’s debut as Spider-Man in Captain America: Civil War. We’ll keep you updated.